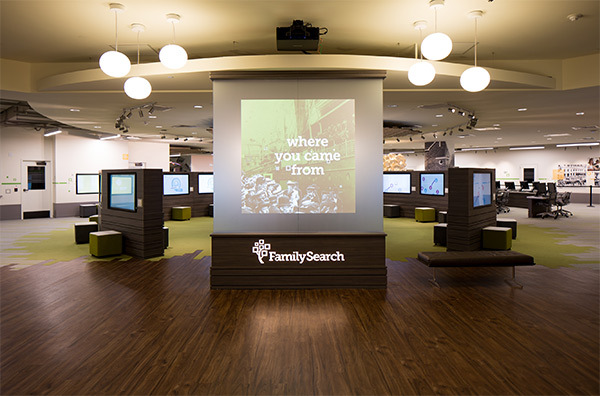 The Discovery Center on the main floor of the Family History Library is a great place to discover more about your heritage in an interactive way! 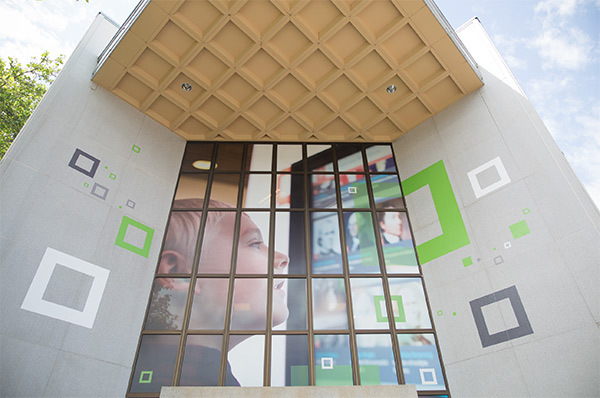 With touch screen monitors and computers, individuals and families can learn about their unique identity, create their personal story, and explore family roots in an exciting way. The main floor is designed for discovery activities, and the other library floors remain available for research and assistance. Monday, February 25 8:00 a.m.–11:00 p.m.
Tuesday, February 26 8:00 a.m.–11:00 p.m.
Wednesday, February 27 8:00 a.m.–9:00 p.m.
Thursday, February 28 8:00 a.m.–9:00 p.m.
Friday, March 1 8:00 a.m.–9:00 p.m.
Saturday, March 2 8:00 a.m.–9:00 p.m.
Be sure to schedule some research time at the world-renowned Family History Library in Salt Lake City. Located a block north of the Salt Palace and a block west of Temple Square, the library offers a collection of records, genealogical publications, documents, and research guides from over 100 countries, including the names of over three billion deceased people. A staff of experienced genealogists and trained volunteers can help you every step of the way.